Happy Pi Day! 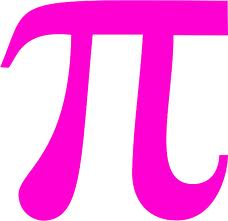 March 14, honored by math enthusiasts as Pi (3.14) day, is coincidentally, Albert Einstein's birthday. So for my math-geek relatives, and for math teachers everywhere, I have included some math-related books below. And for my favorite math whiz, who always won the math-go-round in third grade, I have included a pie recipe for Pi Day!